Leave it to a mother of six kids (six kids!) to come up with this ingenious multi-tasker. Duality creator Barbara Lampugnale designed the product to be a mini mani in a bottle. Simply unscrew the polish portion from a bottom container to uncover a tiny nail file and remover-soaked pads. Voila—a mobile nail station that’s ready whenever you can squeeze in a moment. Wait, you don't use an exfoliating body scrub each time you shower? Yeah...us neither. As much as we love them, that's one more step that threatens to make us late for work (again). This rich-lathering wash, however, adds micro peeling particles into the mix, gently sloughing off loose, dead skin and buffing on a glow as we wash (the one step we’re in no danger of skipping). A magic marker indeed! This pigmented pen won’t take up much real estate in your makeup bag, eliminating the need to pack a clunky blush and lipstick. Dab a little of the stain on your cheeks and blend on a sheer rosy glow, then just draw on your lips. We promise: it really will last all day. All-in-one BB creams were designed to squeeze every step of your skincare regimen into one little tube, freeing you from layering on serum, moisturizer, primer and foundation. Meet the concept’s next iteration. 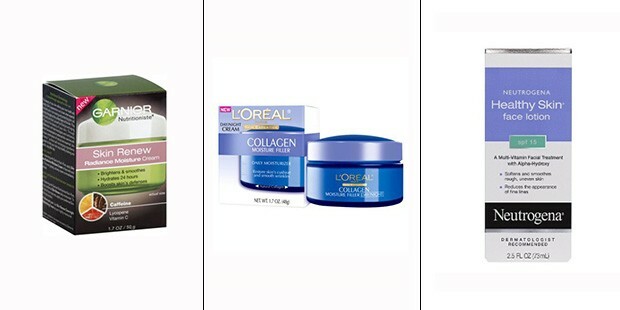 This CC cream works all the magic of its little sister BB, while also tackling the very grown-up problem of dark spots. Not only do its pigments even out skin tone instantly, it contains an essential glucosamine complex to treat facial hyperpigmentation over time. Although these little capsules of skin-brightening serum are actually a skincare treatment, we’ve discovered they also work wonderfully well as a makeup primer. While you reap the long-term benefits of more radiant skin, the non-greasy serum prevents makeup from looking streaky or settling into fine lines. Call us lazy, but some days we’d give anything to hit the snooze button one more time (or maybe three). And this Argan-based oil streamlines two steps in our morning routine by conditioning hair and body equally well. In addition to the famed Moroccan moisturizer, it contains super-softening apricot, olive and grapeseed oils, as well as sun shielding Parsol SLX. There’s not much more you can ask for than this combo. Not only does it build a subtle, natural-looking glow, it’s also packed with skin-repairing ingredients that boost collagen production to firm skin and reduce fine lines. As much as we’d love to look like we stepped out of the salon each day, layering on hair products to get the job done just won’t be happening most mornings. A few spritzes of this does-it-all spray, however, is all we need for the tousled, boho waves that celebrity hairstylist Oscar Blandi creates for his famous clients. A girl’s gotta have options, right? And this single lipstick bullet unites two very different shades, so you can mix, match and blend a myriad of lip looks to suit your mood—without lugging a bag full of products with you. It comes in ten different match-ups—and, at under $3 a pop, you can load up on every hue. Everything from lips to heels have a soft spot for Smith's classic Rosebud Salve. The formula moisturizes even the most parched of parts while scenting skin with roses in bloom. This eye shadow compact is as clever as it is gorgeous. The satiny formula of its trio of shadows contains eye-lifting, radiance-boosting serum-powders that immediately reduce puffiness and fill in fine lines while also repairing delicate eye skin over time. There’s also a smoothing primer and a creamy liner (which you can also use on your brows! )—plus two cute little wands for every need. When it comes to on-the-go beauty, there are two items that have taken up permanent residence in every purse we tote around: hand cream and lip balm. This little French duo makes a love match of those essentials, capping an ultra-rich cream with a little pot of balm, whose flip-up top even hides a tiny mirror underneath. Clear out that overcrowded cosmetic kit and shave minutes off your morning routine. These multiple-use beauty products pack a double (or triple!) punch in a single product. DIY Nail Designs We Love!